The Academy of Art University in San Francisco not only has hired a chief executive officer, but plans to become an open-to-the-public facility to “represent the legacy of the collection and the Academy’s long-term commitment to education and the City of San Francisco,” the museum said in its news release. The museum, founded in 2012, is currently open only by appointment, but new CEO Rob Fisher has been brought in to change that status. “It’s an incredible opportunity for me to take on the legacy created by Mr. Stephens and begin a new journey that will take the museum to the next level,” Fisher is quoted in the news release. Fisher, who has a background in car collecting, restoration and display, as well as being a participant in vintage racing, recently retired as chairman of the Hillsborough Concours d’Elegance. The Academy of Art University was founded in 1929 by Richard S. Stephens, art director for Sunset magazine and his wife, Clara, and was run from 1951-1970 by their son, Richard A., a car collector who added a department of transportation design. Now run by Richard A.’s daughter, Elsa Stephens, the school also offers programs in collector car restoration. Former Mazda designer Tom Matano is executive director of the university’s School of Industrial Design. Not only has Hall of Fame racer Andy Pilgrim joined the staff at the National Corvette Museum’s Motorsports Park in Bowling Green, Kentucky, but the track is offering him as head of a “Psychology of Speed” program, a half-day of instructional session covering not only tire/chassis analysis, horsepower management, aero vs. mechanical grip, etc., but also the mental preparation needed for motorsports, including vintage racing. And if you want to go further, private coaching sessions are available. For details, see the NCM Motorsports Park website. The track also offers visitors to drive laps in a 2017 Chevrolet Corvette Stingray Z51 today and August 31 and September 9 and 16. Details are on a special website. The National Corvette Museum in Bowling Green, Kentucky, has added a seminar to the lineup for its annual anniversary celebration, scheduled this year for August 30 to September 1: A roundtable featuring Burt Greenwood, Dave McLellan, Herb Fishel, Gib Hufstader, Ralph Kramer and others involved in Corvette racing through the years. The discussion begins at 11:45 a.m. on August 31. 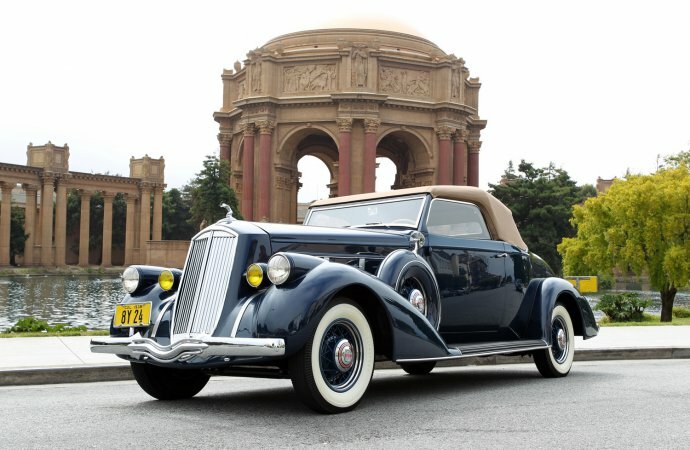 The Newport Car Museum in Rhode Island stages a “Hoods Up” weekend August 11-12. It’s Demo Day on Saturday at the Simeone Foundation Automotive Museum in Philadelphia. This will be the first of two Demo Days focused on Sports Car Club of America races. Part I includes pre-war cars. Those to be exercised in the museum parking lot include a 1921 Vauxhall 30/98E Velox Tourer, 1927 Bentley 3-liter, 1929 Alfa Romeo 6C 1750 SS and a 1937 BMW 328. The California Automobile Museum in Sacramento offers a pinstriping day Saturday with several professional artists taking part throughout the day. The annual members meeting at the Seal Cove Auto Museum in Maine is scheduled for 5 p.m. on August 14. The movie Bol d’Or 1976 will be screened August 18 at 6 p.m. at the Simeone Foundation Automotive Museum in Philadelphia, with producer and motorcycle racer Peter Starr on hand for the viewing of his film about the 24-hour motorcycle race. As yet another bonus, Burn Munro’s World’s Fastest Indian motorcycle will be fired up. August 18 also marks the opening of the museum’s 10th annual motorcycle exhibition, which runs through September 7. Not only will Vladimir Cetti be autographing copies of his book, Still Life With Tatra Wrecks, but what is being billed as “the largest gathering of Tatras ever in Burbank!” will be held August 18 from 10 a.m. until 2 p.m. at Autobooks-Aerobooks in Burbank, California. The British Motor Museum stages its annual Buses Festival on August 19 with as many as 100 vintage and modern coaches on display. The day includes free bus rides to the museum from Lemington Spa Upper Parade and Train Station. The Mercedes-Benz Museum in Germany will offer a summer program for children 8-12 years of age from August 21-31, Tuesdays through Fridays. An overall theme for the camps will be motorsports. America on Wheels will organize a car show for vehicles at least 15 years old in conjunction with the 75th anniversary of the Queen City Airport in Allentown, Pennsylvania, where the events take place August 25. The LeMay Collections at Marymount in Tacoma, Washington, will stage its annual car show on August 25 with more than 1,500 vehicles available for viewing, along with antique dolls, pin cushions, radios and more. The Lucky Vehicle Auction Fall Classic begins that same day and runs through the 26th. 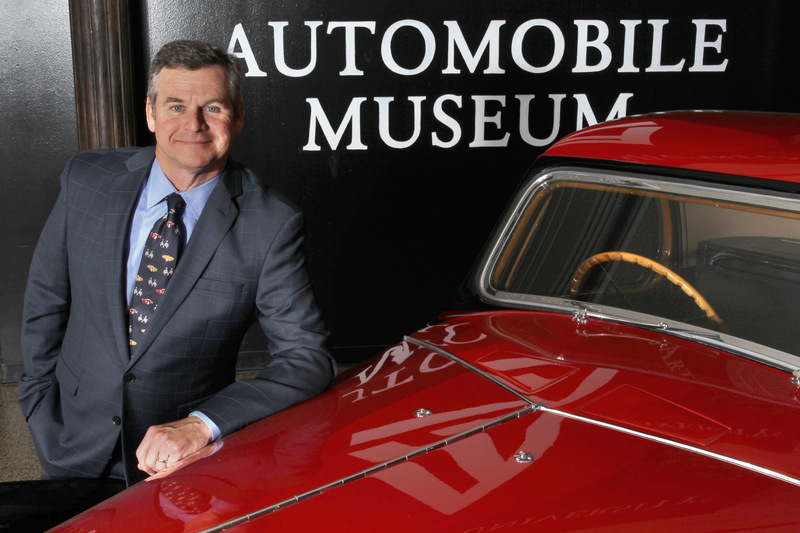 The California Automobile Museum in Sacramento offers a Talking Shop program August 28 from 6 p.m. to 8 p.m. featuring John D’Agostino, who will talk about Sacramento’s history of customizing and hot rodding cars. Britain’s Beaulieu museum hosts its International Autojumble on September 1-2, with more than 2,000 vendors offering spare parts and assorted automobilia for sale (autojumble is the British version of a swap meet). More than 400 classic (as early as 1970) and modern trucks of all categories are expected for the Retro Truck Show to be held September 8-9 at the British Motor Museum. An IMSA race and the Corvette Racing banquet take place September 8-9 at Laguna Seca and the National Corvette Museum’s Museum In Motion will launch a tour of Northern California on September 10 through the 16th with travel on the Pacific Coast Highway, visits to car collections and other points of interest. America on Wheels museum in Allentown, Pennsylvania, has rescheduled its Classics and Cruisers on Hamilton car show for the afternoon of September 15. 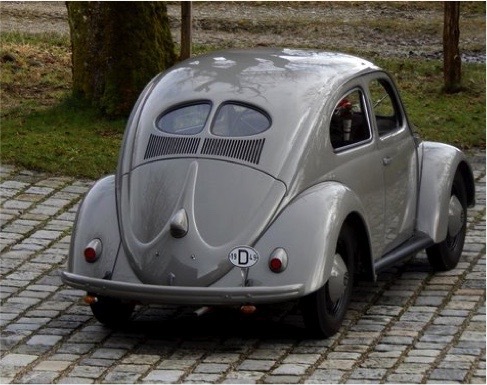 The Blackhawk Museum in Danville, California, is doing a road trip by coach on September 29 to the Porsche Rennsport Reunion VI at Laguna Seca. The British Motor Museum, located on the grounds of the former RAF Gaydon base, hosts the third annual Gaydon Military Show on September 30. The California Automobile Museum in Sacramento stages CruiseFest on Fulton Avenue on October 6. The Blackhawk Museum in Danville, California, celebrates its 30th anniversary with a Gala scheduled for October 14. In addition to dinner and silent and live auctions, the evening will feature music by Franc d’Ambrosio of Phantom of the Opera fame.